Inappropriate and poorly maintained equipment have been indicated as a key factors in increasing the already high levels of patient mortality and morbidity in Uganda. Much of the equipment donated from abroad is not appropriate or cannot be used due to the lack of user training, unavailable or overly expensive consumables or lacking repair skills. 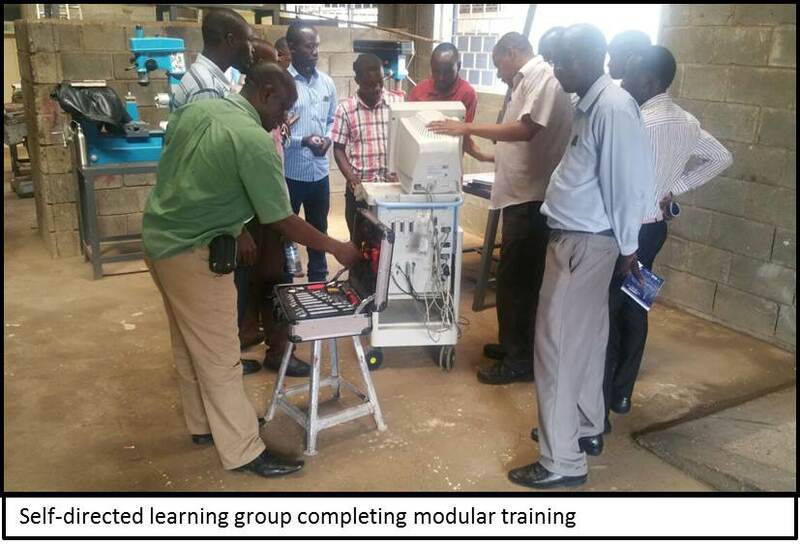 Knowledge for Change developed a project to build capacity for local technicians and biomedical engineers. 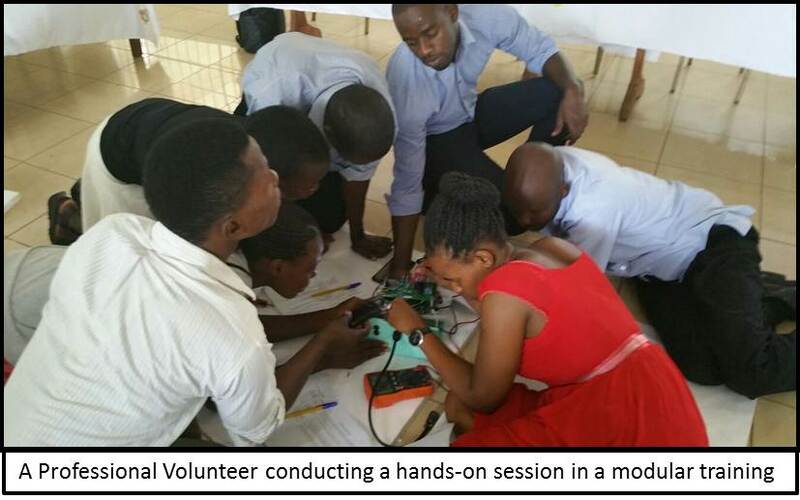 Through this project, UK long and short-term volunteers help local technicians to improve their skills in areas such as the procurement, maintenance, repair and disposal of medical equipment. The project began in 2013 and is funded by the UK Department for International Development (DfID) through the Tropical Health Education Trust (THET). 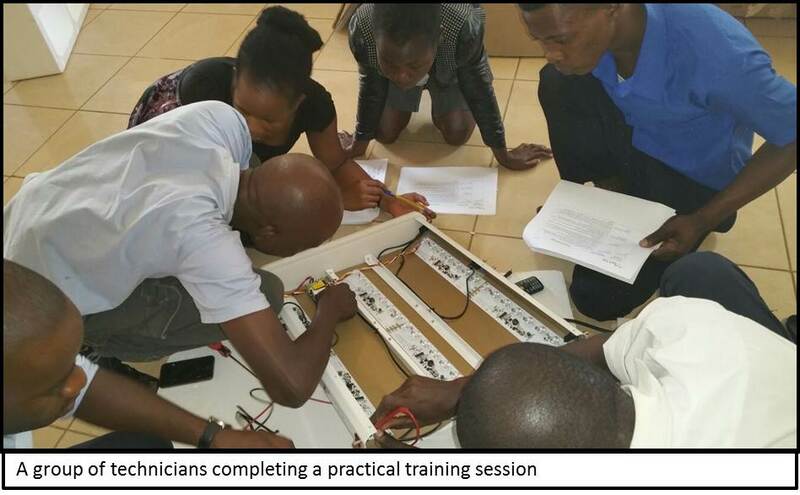 The project currently supports over 16 technicians in 12 different hospitals across Uganda including: Mulago National Referral Hospital; Mbarara, Hoima, Mbale and Gulu Regional Referral Hospitals; Mengo, Virika and Kisiizi Church of Uganda Hospitals; and Kisenyi and Kabubbu Health centres. K4C is also supporting the training of degree level Biomedical Engineering students at Makerere University; the first of their kind in the whole of East Africa. We have supported curriculum development and implementation, and we are pleased to report that the initial four cohorts of over 98 graduates have all secured jobs across Uganda. The main objective of the project is for technicians, biomedical engineers and Health workers (and therefore patients) to have better access to appropriate and functional medical equipment in Uganda. Structured training – including an access course for beginners and specialised modules for advanced topics. This has included the training of facility managers and clinicians. alongside Ugandan staff to provide support, training and in-house mentorship. Organising conferences and workshops – to stimulate networking and build a cooperative network of technicians and engineers from across East Africa. A National Conference was held in Kampala in January 2017 (supported by the Ministry, UNAMHE and NACME) to raise awareness, spread the work of the project and disseminate the benefits of having well structured training programmes, policies and guidelines and effective management structures. We also run regional workshops on a regular basis across Uganda. The project has successfully organised structured training programmes incorporating both local and international volunteers as trainers. A peer to peer mentorship and training scheme has also been established, with the technicians that joined the team earlier training their newer counterparts for sustainability. The technicians also visit each other in their peers’ hospitals that have been highlighted as outstanding in a particular field, for example workshop management, to learn new techniques. Currently the project manager is working on the development of accredited and structured continuous professional development for the technicians in conjunction with Makerere University and UNAMHE. Currently, all 16 of the technicians keep up-to-date logs of their work, generate monthly reports and have done inventories of the equipment in their facilities. The technicians have greatly improved their way of reporting, their techniques and their approach to work. The project has been instrumental in changing the work ethic of the technicians; it has helped to build their confidence in repairing and seeking for assistance through consulting and sharing information with colleagues. The technicians are now more passionate in their work, sharing and solving problems together, and are more involved in the planning and procurement processes within their facilities. 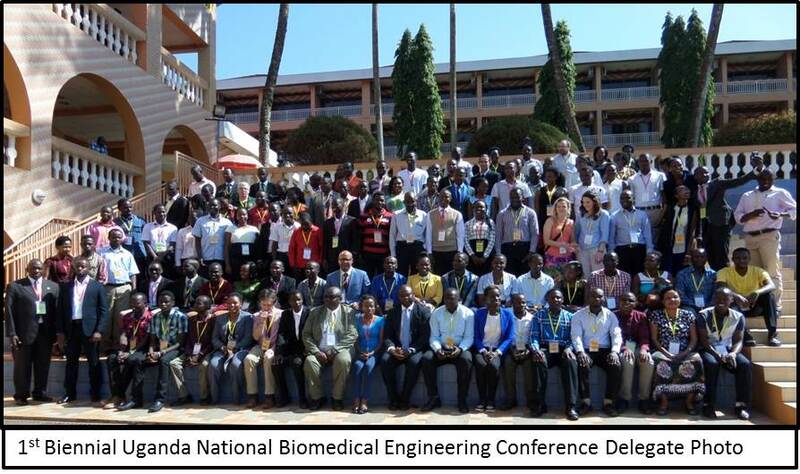 There has been a great increase in awareness and appreciation of the Biomedical Engineering field in Uganda: hitherto very few people knew what Biomedical Engineering was, let alone what it entailed. In a bid to rectify this, the project has successfully increased its media presence by writing articles in the local news and appearing on national television. Self regulating social media groups, namely WhatsApp and Facebook, were also launched to encourage a cohesive spirit among technicians around the country. The WhatsApp group currently hosts over 250 participants! Routine rotational workshops are also held to increase awareness in the medical and technical community around the country. 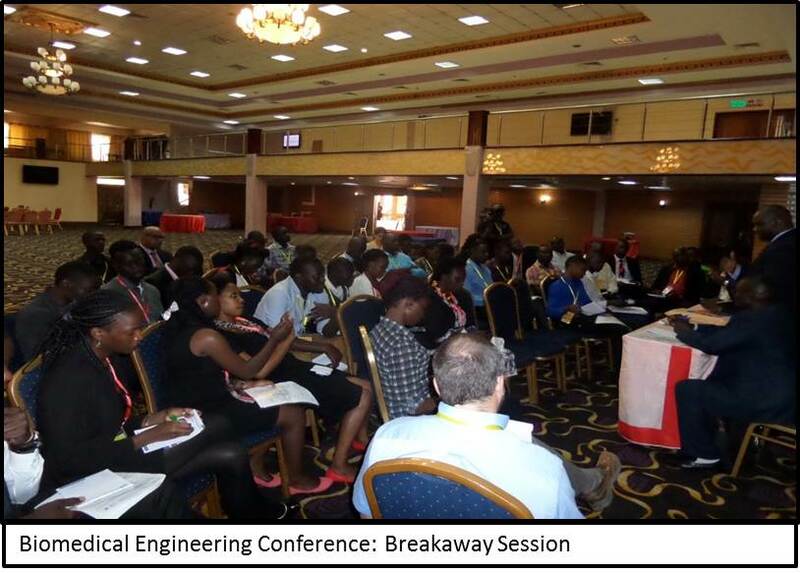 A national Biomedical Engineering conference was organised for the 17th January 2017 under the theme “Enhancing Healthcare through Biomedical Engineering in Uganda and Africa”. The project has strongly influenced the addition of Biomedical Engineering to the government healthcare delivery structure within Uganda through meetings with key stakeholders such as hospital and ministry officials. We have also published journal articles and ran conferences. 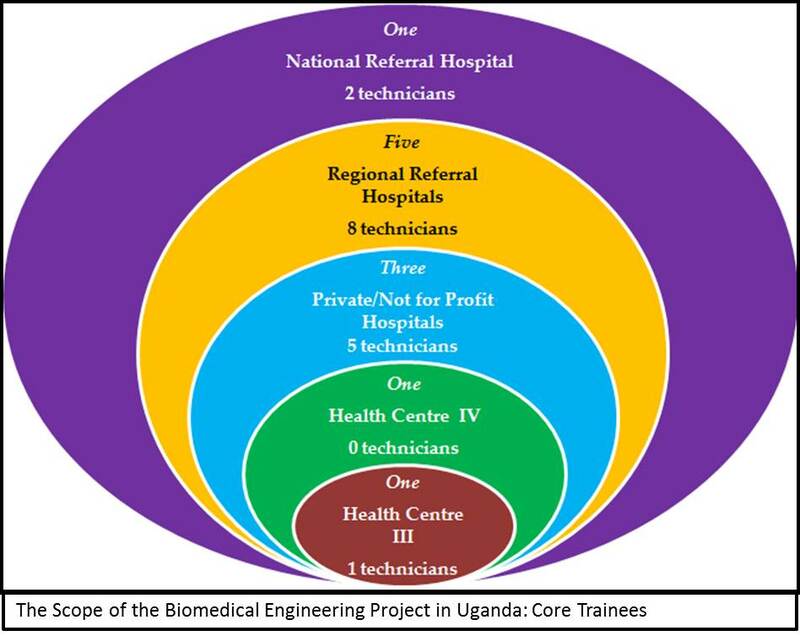 As of 2019; each regional referral hospital in Uganda will have full time qualified Biomedical Engineering personnel at their facilities. The need for quality control and safety by testing the medical equipment has been met in the supported facilities through the purchase of important testing equipment and training the technicians on their uses. UNAMHE (the umbrella body for biomedical engineers and technicians) is being revived after a latent period through the efforts of the project team. The association brings together the community and regulates the activities of the members while promoting their career growth. We hope that soon, Biomedical Engineers will be able to register as recognised professionals with the Uganda Institute of Professional Engineers. There is still a long way to go with regard to presence of full time biomedical engineering staff at the hospitals; only the referral hospitals have been assigned biomedical engineers when their services are required right down to the level of small rural community health centres. Many of such facilities have large amounts of life-saving equipment lying idle until one of the BME project staff are able to visit to rectify some simple faults. This is made more challenging by the absence budgets for equipment maintenance within many facilities. The Ugandan regulatory bodies are strained by the large amount of equipment being brought into the country from abroad, exaggerated by the absence of quality control, warranties and calibration centres. Donated equipment in particular is a problem for facilities due to the lack of clear guidelines and structures for needs assessment, importation, quality testing and regulation of the devices. Though they are much needed, they come with a plethora of burdens which may include faults on the machines, absent parts and lack of spare parts, inaccessible consumables, lack of manuals, absence of staff and personnel who can actually use, maintain and repair these machines etc.